Crypto Market Officially in Longest Bear Market in History – How Long Will it Last? Following the partnership with R3 and SWIFT, rumors around a potential SWIFT and Ripple partnership emerged and analysts attributed the sudden increase in the price of XRP to the rumors. LONGEST BEAR MARKET, WHAT CAN INVESTORS EXPECT? According to a cryptocurrency technical analyst Jonny Moe, the cryptocurrency market has officially entered into its longest-ever bear market. In 2013, the crypto sector engaged in a 410-day bear market during which the Bitcoin price dropped from around $1,000 to nearly $100. Since late December, for more than 410 days, the cryptocurrency sector has been in a steep sell-off, unable to demonstrate momentum or break out of key resistance levels. Thursday marks the same length of time as the 2013-2015 bear market. We’re 2% off from the same depth. I’m expecting these cycles to become longer and less extreme as we go. Meaning, the upside move should take longer (it did), and the downtrend should be longer (TBD). Next uptrend should be less extreme than ’16-’17 and longer. 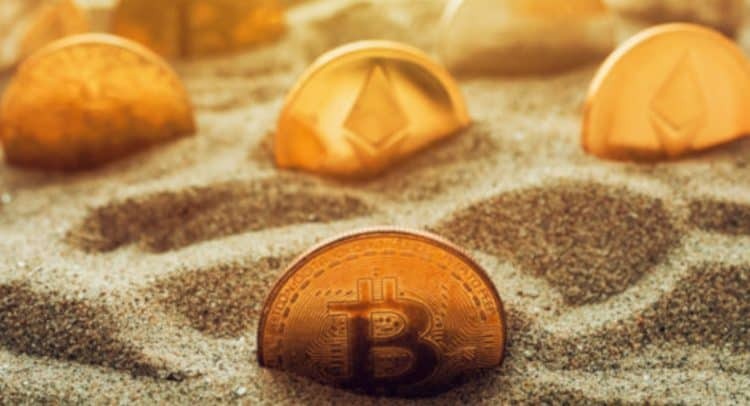 Typically, especially in the cryptocurrency market, major crypto assets tend to go through a long-lasting correction and a few months of stability thereafter. Throughout the past three months, Bitcoin has endured a continuous sell-off. Although it has demonstrated some stability in the $3,500 to $4,000 range in January, the range is at risk of being broken as Bitcoin falls to the low $3,000 region. As Hsaka, a cryptocurrency trader suggested, it is possible that Bitcoin recovers to mid-$3,500 and avoid testing the $3,000 support level. But, the lack of momentum in the crypto market may prevent the dominant cryptocurrency from recovering in the short-term. Previously, analysts including DonAlt stated that a quick move to the $2,000 to $3,000 range for Bitcoin is highly likely if the asset does not rebound with strength in the low $3,000 region. “Sitting in the last buy zone before new lows. Cut some of my buys due to the breach of the top of the zone. Looking to re-add them if it is reclaimed. If green fails I expect a quick move into the $2,000s. If it holds $4,000 is on the cards,” the analyst said. In the short-term, at least until the end of the first week of February, it will remain uncertain whether Bitcoin can hold onto the tight range it has maintained since early January or fall to a new support level. Generally, both analysts and traders expect the current bear market to extend throughout the first half of 2019 before a proper bottom is established and the market begins to recover. One positive factor in the mid-term growth trend of the cryptocurrency sector is that startups believe the crypto winter has not been as bad as previous corrections even though it is the worst on paper in terms of length. As seen in the deals of Nasdaq and Fidelity’s venture capital arms, established companies within the cryptocurrency sector are not finding it challenging to receive funding, which is optimistic for the health of the industry. Last month, CCN reported that Nasdaq and Fidelity invested $28.5 million in regulated crypto futures market operator ErisX in a highly anticipated deal.